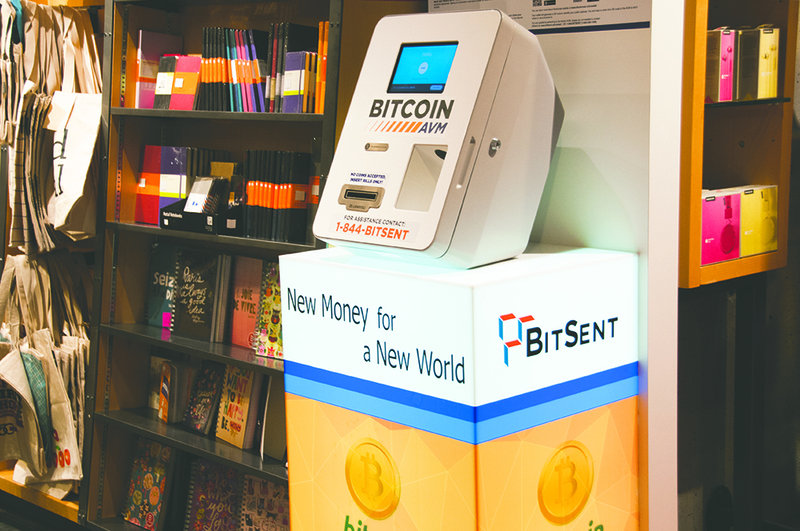 SFU is the first Canadian university to accept the international digital currency, Bitcoin, in its bookstores. 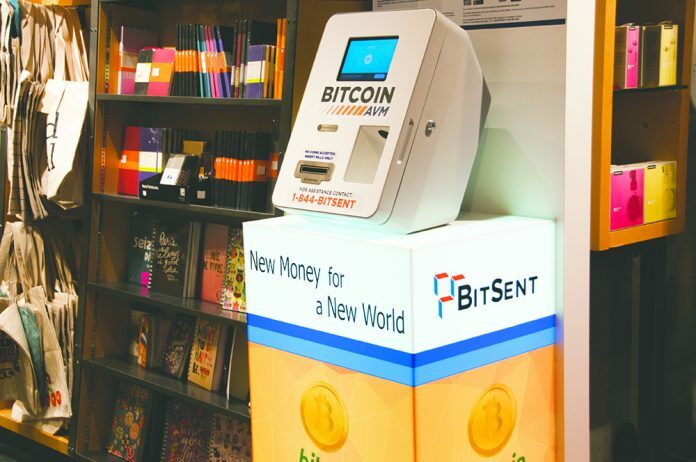 SFU has partnered with Bitsent to place automated Bitcoin vending machines (AVMs) in the Burnaby, Surrey, and Vancouver campuses, unveiling the AVMs at ribbon cutting ceremonies on Tuesday, May 26 through to Thursday, May 28. At the ribbon cutting event in Burnaby on Tuesday — where students were treated to a $5 gift card with any $20 purchase at least partially using Bitcoin — Mark McLaughlin, executive director of SFU’s Ancillary Services, explained that this will allow students to try out Bitcoin, and explore a new technology. SFU had previously made the news as being the first Canadian university to accept Bitcoins for donations last September. McLaughlin credited student initiative as the reason that SFU was willing to give Bitcoin a chance, noting the drive of the SFU Bitcoin Club. “Students really persisted,” he said. “[The SFU Bitcoin Club] have been working hard at this, they’ve been working with us, they’ve been pushing us, and we want to respond to students. We’re here for students and we want to inspire them. As a decentralized digital currency, Bitcoin allows instantaneous transactions without the need for a debit or credit card, and is not held or regulated by any bank. For vendors, Bitcoin has fewer fees to process than for debit or credit cards. A student can purchase Bitcoins by downloading an app on their phone called a digital wallet. With the wallet, students can put cash into the AVM — which has a six percent processing fee, two percent going to SFU, with the rest going to Bitsent — and receive the equivalent amount in Bitcoin. One Bitcoin, as of Thursday, May 27, is worth around $295 Canadian, but they can be purchased in fractions. The nature of the Bitcoin means that its value can fluctuate in comparison to physical currencies, meaning that there is both a risk of devaluation for long term investors, and a possibility for investment — in November 2013, one Bitcoin reached an all time high price of $1,242 USD. However, Bitsent founder Leo Dominguez explained that the volatility of Bitcoin is currently low enough that one can purchase Bitcoin and spend it without worrying about it devaluing between the time you hit the AVM and head to the checkout. “Unless you’re holding the Bitcoin for several days, weeks, or months, you’re not exposed to the volatility,” he noted. SFU is not taking any chances, though. Any purchase made in Bitcoin is immediately converted into Canadian dollars by the payment processor Bitpay. McLaughlin sees the potential for other Ancillary Services establishments, such as SFU’s coffee shops, to adopt Bitcoin as well, if the bookstore’s acceptance of Bitcoin is a success. However, he is adamant that there no plan to accept Bitcoin for tuition, despite student — and particularly international student — interest.